It wouldn’t surprise me that a lot of New Zealanders see the feijoa as almost as Kiwi as the kiwifruit. Most gardens have a feijoa tree or hedge and in this time of year you see feijoas for sale everywhere. 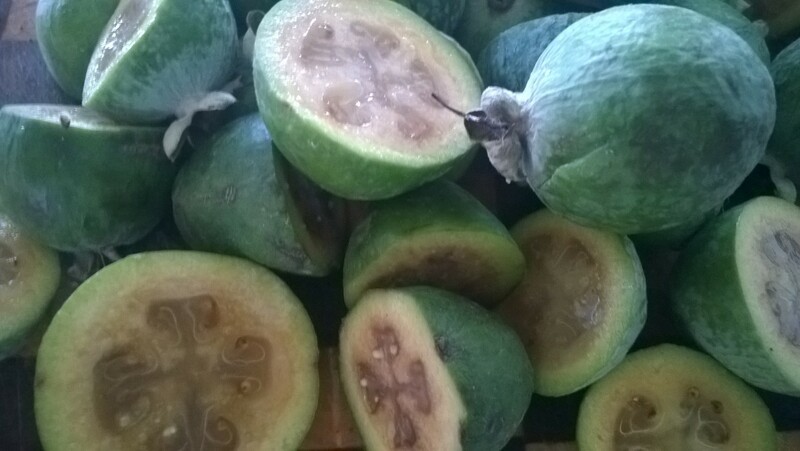 The feijoa is not a native fruit, but then neither is the kiwifruit really. They have been introduced at some point by early settlers and thrive in New Zealand’s mild climate. I had not seen them or heard of them until I got to New Zealand. I remember coming into the office in April/May and seeing a bag of fairly bright green egg like fruits on the kitchen bench.They had to teach me that to eat them you cut them in half and then scoop out the flesh with a teaspoon. They have a very distinctive taste, soft sweet, sometimes slightly tangy. It doesn’t compare to anything else. I have grown very fond of them over the years, and it’s one of the things to look forward to in autumn. I eat them raw, or use them in salads, roast them with some chicken, or as i did this weekend, make a supercharged smoothie with banana, coconut milk, an orange and some linseed. 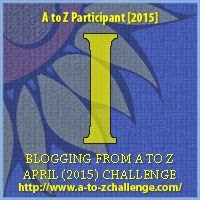 This entry was posted in A to Z challenge, localfood, nz general and tagged a to z, cooking, culture. Bookmark the permalink. ← Jerusalem Artichokes, nice to meet you!